Norman wrote in about this fabulous gown, which he owns in his own collection. 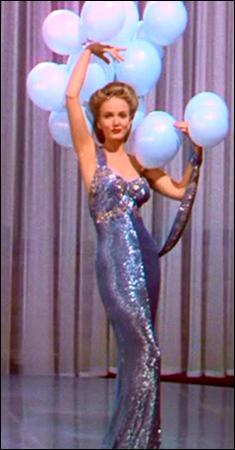 The gown was designed by none other than the famous costume designer Adrian for MGM's first Technicolor film, Sweethearts. 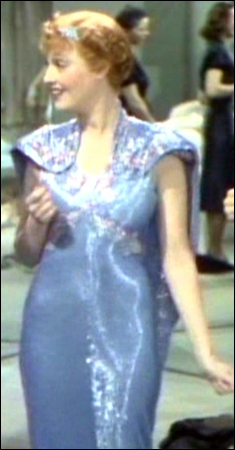 On describing the gown, Norma says it is "Blue evening gown with train and yoke collar, covered in bugle beads. Fleur-de-lis rhinestone design on bodice." He sent a picture of the gown today - click the image at the left to get a larger view of it. It's incredible just how much detailing there is in this marvelous creation that you just can't quite pick up on screen!